All them kids, crawling, kicking, running. Growing big. We've celebrated a birthday since the last Nxter News post, Nxt's 5th. Soon we'll witness a new birth, an independent clone of Nxt will be born on December 25th, with a set of strong genes inherited, but different from Nxt, with a completely different goal in life, Rya. We look into the JPL. On January 1st, Ardor turns 1, and with it, Ignis, Bitswift. All them kids. AEUR. I am so proud of you all. With caring parents, friends, and community, but born into a competitive world. Best ideas, best in class, but not necessarily best at winning the attention game. Not in the same class as the rich kids, but working, working, gonna kick them in the teeth, learning, playing, working. We're light weight. We move fast. WHAT a beautiful freezing cold December day. Today, it's a bearish day, but let's make it a good one. Hold tight, while block upon block gets added to the Nxt and Ardor blockchains, like a clockwork, secured by an energy efficient network of nodes across the globe. We bring you news about the next business child chains to be added to the Ardor platform, KYC and AML compliant ICO's, the 2nd generation of Smart Contracts, and we invite you to follow the development of the only Full BaaS platform. We thank you for letting us take you through another cold playful week that was. This week's newsletter is put together by apenzl, Jose, and rubenbc. "Celebrate and solve the puzzle to win 5000 NXT. First ten solvers can use code for free e-book "Snapshot" found inside the account. Idea and puzzle contributed by @madfox. 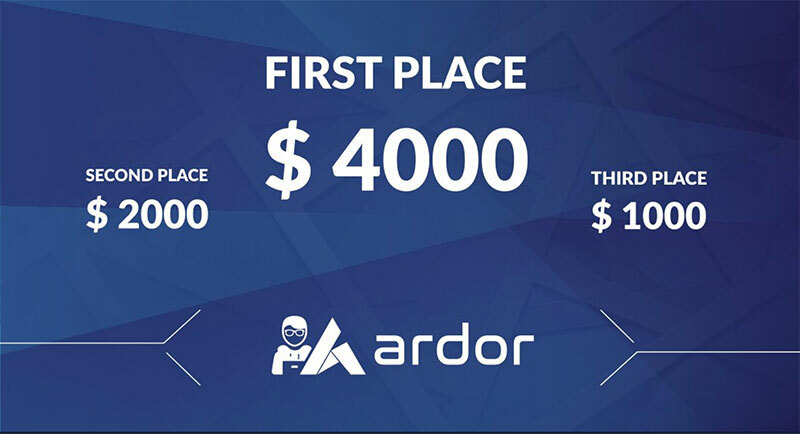 The 5000 NXT in the prize account is kindly sponsored by Ardor / Nxt Group and Jelurida. Nxter.org has contributed 10 "Snapshot" ebooks to the first ten to redeem with coupon code." No one has solved it, in fact, no one seems to be close. The price account is NXT-33F8-KL8N-6ZDE-3LRSU. To uncover the passphrase, look into the Nxt blockchain. Way more greetings and congrats to Nxt were posted throughout the day by Nxters, supporters, clone creators, and blockchain businesses, also the https://ardornxt.io/share-message-or-memory-celebrate-5-years-nxt-cryptocurrency page saw its share. "Jean-Luc once wrote me that releasing an Nxt version is like sending a rover to Mars, you have one chance to get it right and almost no way to fix it later. Using this analogy, in the last 5 years the Nxt development team has launched dozens of Mars missions without a single catastrophic failure. Where will we be in 5 years? I'm very optimistic, we have a strong team, great community, enough funds to survive and prosper and amazing challenges and opportunities ahead. Stay around and enjoy the ride." 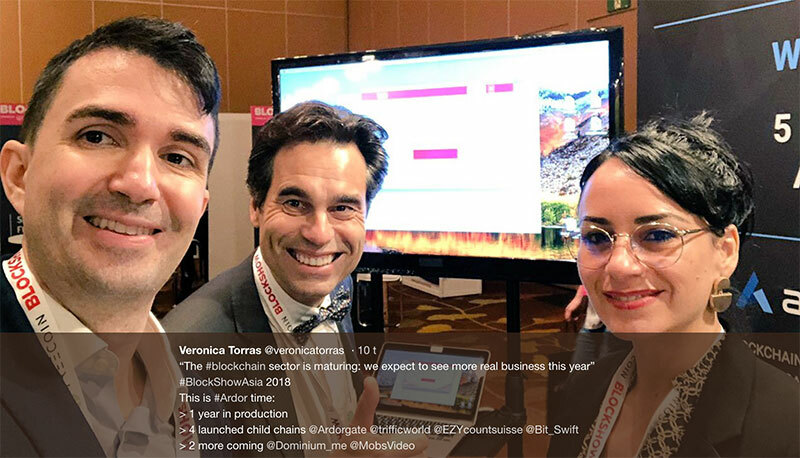 This week: Asia Blockshow and Global Tech Summit in Sofia. Jelurida is out there pitching, hiring, hacking, taking the stage. Alberto, Veronica, and Francisco are kicking it in Singapore. Alberto will talk for 10 minutes about Ardor and the Lightweight Contracts at the “Overthrowing the state of the smart contracts: Ardor’s Lightweight Contracts”. As sponsors and VIP attendees Jelurida is attending a series of private events where we will be doing great networking. Stay tuned. Looking forward to do business in Asia! Tomislav, Petko, Kristina, and Lassen are at the event, pitching the blockchain (r)evolution. 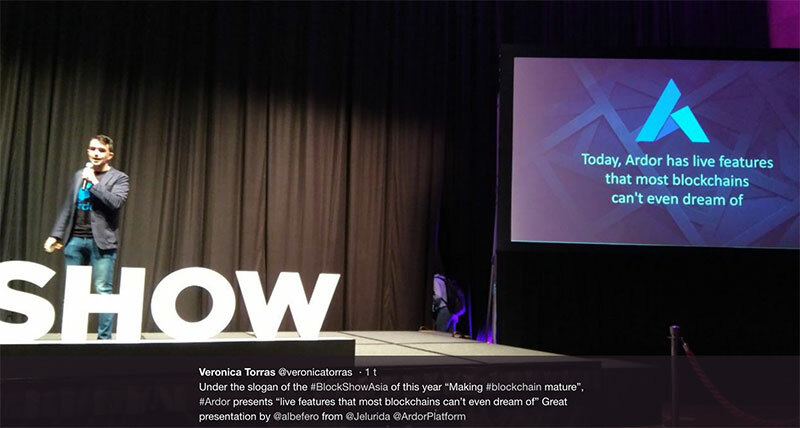 In late November, Jelurida invited developers to participate in the first Lightweight Contracts Hackathon on Ardor's innovative blockchain platform. The winning contracts will be announced on January 31st, and $21000 will be paid to the best. 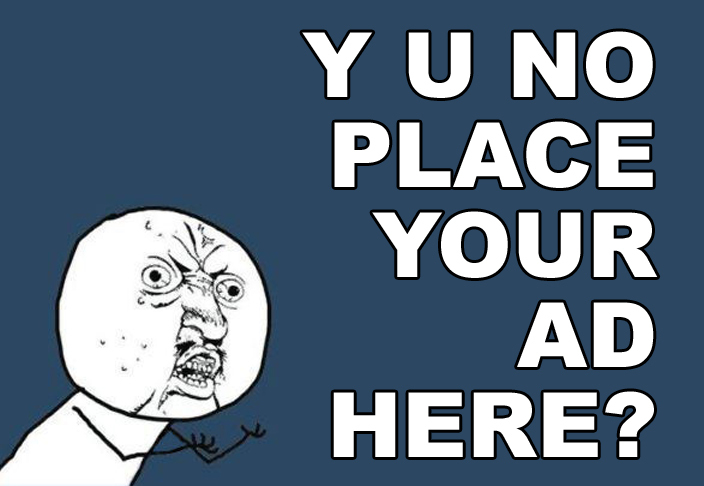 Time is running out, if you want to give one of the challenges a shot but aren't buried in writing Java code already. Think you have what it takes to automate the process of currency exchanges? This is your chance to prove your skills by creating a Lightweight Contract to exchange between Bitcoin and Ignis. Decentralized data storage has gotten lots of hype, but most blockchain platforms are still figuring out how to offer this type of feature. In this challenge, you will use the existing Data Cloud on the Ardor platform's child chains to take cloud storage and streaming to the next level. Fake social media accounts are a major issue, with platforms like Twitter implementing their own verification process. On the Ardor platform, we think this process can be done better. Join this challenge to develop a Lightweight Contract based on reputation management and identity verification. Prizes will be paid in IGNIS tokens equivalent (using the CMC rate at the moment of payment). Jelurida had an AMA (Ask Me Anything) session about Lightweight Contracts few weeks ago. Lior Yaffe blogs about developing this new stateless contracts concept, and keeps you updated on the progress. Below Lior elaborates on the theme of “simplicity” regarding this unique Contracts framework. Every week a puzzle is released for your pleasure. Inside the puzzles lie an IGNIS reward, that the first person to solve the puzzle can lay hands on. Seek Thou Must, to find the hidden passphrase, then withdraw the IGNIS in the account it opens. "I decided to take everything into my own hands. I was also upset that such a product has so few supporters. I decided that in small steps, you can slightly improve the situation"
Sure you can. And you can win some IGNIS too. .... Hurry! All Nxter Puzzles are listed on nxter.org/puzzles - there are still more unclaimed IGNIS to uncover and grab. It's confirmed. Nxt and Ardor child chains' Unconfirmed Transactions Pool can be leveraged to create free decentralized p2p services. Galeki is back to expand on his previous discovery. Months ago, community member Galeki realized that you can send free messages over the blockchain by using Unconfirmed Transactions. Galeki threw together a "Snapchat"-like Dapp on the blockchain, to show us how it works. His "Burning Messages" app is downloadable from here. By making transactions truly unconfirmable, bundlers won't include the encrypted messages into the next childchainblock - instead, the transactions will simply expire, cease to exist. But, before they do, the receiver of the message can read it. "That enables two Ardor accounts to communicate with each other privily, instantly, and off the record." "... we can build our own peer-to-peer App without a centralized server. After knowing the peer’s IP, something like sending big files won’t be a problem (sure each peer should have a public IP or UPnP support). The good part is we done it with encrypted messages, there’s no such thing like ARP Spoofing. :)"
The Unconfirmed Transactions Pool enables Ardor accounts to communicate with each other privily, instantly, and off the record. Hereby confirmed. What's next? If you are looking for a rabbithole into our lovely community, there are several. Join us and learn from us, make friends and share your visions. Meet us on the platform you prefer to use. Some prefer Linux, others Windows. Some enjoy talking, others... eating. While writing... or dancing.. Nevermind. We got room for all. First announcements, dev talks, AMA's, trading, random talks, and social media swarms are planned and executed from here. Jelurida, the ANG, Nxter Magazine, and most child chain issuers hang out with the rest of our global community here. Our most crowded and visited meeting point. Discord is for the people who don’t need to speak to the devs. But it’s a place where we can help each other out with the simple questions or advice. Nevertheless, we have good contact with Slack members ( not only Dev’s btw) and we will not hesitate to refer to Slack if the Ardor NXT Community Group can’t find an answer/solution. That works great. We reach a broader community this way. Good to follow, if you use Telegram. It's not where most Nxters currently hang out or choose to start an in-depth discussion or brainstorm a new blockchain project with the community. That said, why not do it! Build it, enjoy it, and others might join the discussion too! At the moment, let's just say we monitor it, try to keep it scam-and-spam-free, and post conclusions from everywhere else. Questions will be answered by knowledgeable community members but not instantly. Many clones have a Telegram channel, and if you want to be among the first that hear their news updates, join them there. If you're oldskool like that! The nice thing about forums, compared to Slack and the rest, is the slower flow in postings, and that the posts stay. Nxt was announced and distributed from the Bitcointalk forum, the community was built there. We moved to nxtforum.org, and it was awesome! If you want to dive deep into the Nxt and Ardor history, with everything it holds, that's where you'll look. and there's a nice community-forum over at ardor.rocks too, where you are awarded ROCKS assets for taking part. Ever since Nxt launched and revolutionized the use of a blockchain in late 2013, and launched the first decentralized ICO platform and token exchange in March 2014, before Ethereum even had a main net, Bitcoin and Proof-of-Work maximalists started warning against "Nothing at Stake" attacks, spreading the rumour that a PoS protocol is not as secure as PoW because it doesn't burn electricity. Ethereum later added their voice to the choir. They are all heavy influencers. In April 2015, Nxter Magazine published an article about the inaccuracies of such claims and addressed the concern. Now 3 more years have passed, and Nxt/Ardor still haven't been destroyed. In fact, PoS has proven itself to be more secure than PoW. In a new blog post, Lior Yaffe sets out to explore why Nxt or Ardor has not yet fallen victim to the Nothing at Stake attack. Consider that the Nxt blockchain just celebrated its 5th straight year in production and the Ardor mainnet is about to celebrate its first birthday in January. Back in December 2017, both coins were valued at more than 1 Billion USD. During these 5 years, Nxt withstood numerous attacks executed using many different attack vectors, but strangely enough, a “Nothing at Stake” attack was never observed in practice. So let’s look at Bob, our “would be attacker”, who holds 1% of the Nxt tokens. Let’s see how he can try to double spend. I’ll completely ignore economic arguments like: why would Bob try to attack and discredit a network in which he holds 1%? Let’s simply assume that Bob wants to destroy Nxt to make a point about its lack of security. AEUR got listed on the STEX exchange last week. The fiat backed Euro pegged token, which is so much more than "just another stable coin" - due to its arsenal of inbuilt decentralized features. On the AEUR child chain you can issue your own monetary units, reward points, and loyalty tokens, pegged to the Euro. You can crowdfund a project in Euro without using (and paying) a 3rd party to hold your funds in escrow and a payment processor who takes a large cut of your funds too. If your pre-set crowdfunding goal isn't met, your supporters get their AEUR back. Just like that. If the goal is met, the AEUR is automatically transferred to you. Now, how about having your funders vote on key decisions? Just do it. These and more inbuilt smart contracts come with owning AEUR, on top of the standard stuff; sending EUR across borders 24/7 for only a 0.001 EUR fee, or using AEUR to trade crypto coins and assets on the Ardor DEX. You can now trade AEUR against BTC at the STEX exchange. You can send [AEUR from STEX] to [your] Ardor account. At stex exchange you can only trade AEUR against btc, deposit, withdraw. But if you want to exchange AEUR to real EUR, you need to do that through Ardorgate. Yes. With Ardorgate you can always withdraw AEUR to a MisterTango bank account, as well as deposit EUR to AEUR. Dominium B.V. has been renamed to Max Property Group. The Dominium platform changes name to Max Crowdfund, and DOM becomes MPG. New launch date, reward program + ITO changes. Dominium B.V. has been renamed to Max Property Group and the Trademark Application for Max Property Group has been submitted to EUIPO. 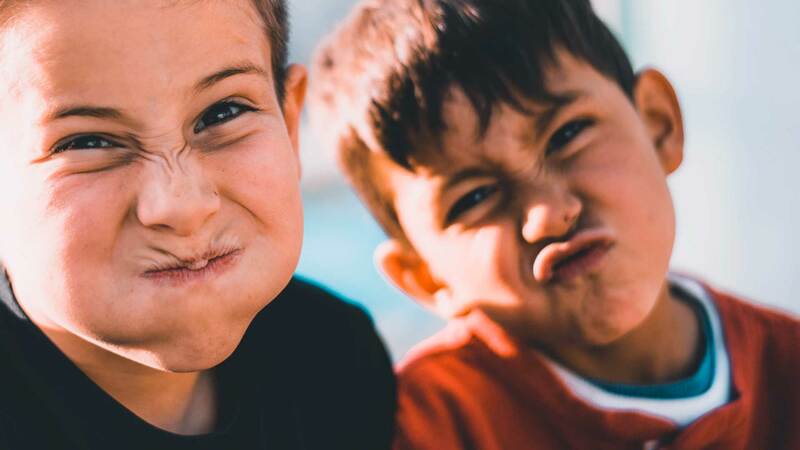 The launch date of the child chain is postponed - the new launch date is the 10th of January 2019. "When we chose Dominium as the company name, there were no obvious conflicts in place. Since then, however, a Trademark has been registered with the same name and a conflict has arisen. Similarly, a DOM token already exists on Ethereum. As such we have chosen to change the name of the company as well as the trading symbol." "We are changing the name of the Dominium platform to Max Crowdfund, and the token symbol will be MPG. After long internal discussions, we have decided to bring the funding platform under the umbrella of Max Property Group as it is an established brand and has several hundred investors and historic activities already. We also already possess the social media pages, which makes the transition a lot easier and prevents further branding problems." The following bonus structure applies to the Phase 1 tokens (0.10€ per token): This week, there is a 30% bonus for anyone paying in Euro or GBP. Each week the bonus will go down 10%. If the Phase I tokens are sold out prior to 31/12/2018, no more tokens will be made available. Phase II and III of the ITO have been eliminated. If any Phase 1 tokens are left, they'll be sold at full price. The 5% bonus for NXT/ARDR/IGNIS purchases no longer applies after the 30th of November 2018. From the 1st of January 2019, the price of DOM (MPG) tokens on the platform will be set at €0.25, and all remaining DOM (MPG) tokens will be put up for sale. From the 10th of January 2019, MPG tokens will be tradable on Ardor DEX at varying prices as it is an open market. The MPG token will also be listed on other exchanges to further develop trading volumes once the Dominium rebranding has been completed. Airdropped DOM tokens, and DOM tokens received for referrals, belonging to people who have not passed KYC Clearance Level 1 and do not have an Ardor wallet by the 30th of November, will be removed. Lost. Gone, back to the pot. Submit your KYC and pass Clearance Level 1 to get your MPG tokens, pass Clearance Level 2 to invest in property assets! Triffic will reward its users for doing everyday tasks. It lets businesses create loyalty programs that take advantage of its Augmented Reality features. It's time to gamify your entire life. Triffic's GPS token pre-ICO sale is live. A bunch of brand new posts on their website explain in concise details about the GPS token and the economy it brings, their use of gamification and rewards to get - and keep - a loyal user base, the app and its features, and their reasons for building a business on Ardor's blockchain platform over Ethereum's. "Triffic is not a blockchain company. Triffic is a software company that utilizes blockchain technology to prove the transparency and integrity of its ecosystem. Ardor’s mature and constantly updated blockchain framework takes care of essential technical aspects of token creation like security. Ardor’s in-built decentralized exchange also allows GPS Tokens to be cashed out at any time. You can then sell your Ardor to fiat, Bitcoin or Ethereum using any exchange that lists Ardor. And that currently includes Binance, Huobi, Upbit, Bittrex, Poloniex and many more. Because we plan to reward GPS Token holders with 50% of our video advertising revenue, we are also making use of Ardor’s ability to easily distribute token payments to existing token holders." Ignis and Ardor are great. But what about Triffic then? No investment advice here - DYOR! In the Triffic Early Bird Sale that runs from December 3 until December 17, 2018, you can buy GPS tokens for $0.4 per token. 7,500,000 are for sale; first come, first served. There's a bonus for those who purchase for $500 or more: a 12 month's free upgrade to the subscription version of Triffic. Investors who purchase with ARDR will get a 10% additional bonus. Airdrops? Snapshots? JPL? NXT? Confused? The Nxt source code is released under an open source "crypto" license which requires cloners to allocate 10% of their tokens to NXT holders. Yes, other important difference is that, as a consequence of the 10% Airdrop requirement, internal use (a private or permissioned clone) is not allowed except for an evaluation purposes no longer than three months. This is because a private/permissioned blockchain clone cannot fulfill the Airdrop requirement. Source << Jelurida wrote it! There are, of course, more questions, and also more answers in that link. Get the full JPL text (and context) here. The Rya team is getting ready to launch RYA. The snapshot was a success, now comes the Genesis Block, bootstrapping the network, and yes, the airdrop. Rya wants to tether money supply to credit as a function of P2P loans - and you are invited to it all! The Rya team has announced that the Rya main net will be launched on 25.12.2018. A pre-compiled wallet will be available to download before launch, the Rya team writes on Telegram. 40% RYA and TRUST tokens will be allocated to the NXT account ID's that held NXT at the snapshot block. The corresponding accounts on the Rya network will hold the coins at launch. You can help Rya by forging or leasing your balance to Rya forging hubs after launch. This is your chance to support their idea, secure your stake in the network, maybe set up a few nodes, and celebrate Christmas by experiencing the birth of a new public blockchain, initially based on awesome Nxt. Rya will not have an ICO. The remaining 60% RYA will be split up into a small reward for initial devs, a small fund to continue developing more features and products related to Rya and the rest will be distributed to the community. 1:1 copycats: GTFO. But some clones start off from the Nxt code base and add their own. We took the time to track down some of the best known and most promising. Did you catch the airdrops? Got news for us? Let us know here. Help Nxter.org continue to provide focused coverage and grow by rewarding us for our efforts. Be our loving patron: NXT-TK9J-MEKH-MUP9-HFCH2 / ARDOR-TK9J-MEKH-MUP9-HFCH2. Thanks. Want to follow us on Twitter or Telegram for important breaking updates during the week as they happen – go ahead!